If you have successfully connected your Facebook page to the Bot, now it’s time to submit your App to Facebook for the review so that the Bot would be able to answer each user. Go to developers.facebook.com/ and select your app from the top right. Now select “Basic Settings” from the left navigation. and fill all the required fields and click on “Save Changes” button. Now there will be a new section name “Current Submission”, click on “Add Details” and a popup box would appear. Two account would also be given which you will need to add as Tester of your app. To add Testers, go to the Roles from the left navigation and click on “Add Testers” button in the Tester Section. After adding Editor and Testers. Go to Botsify and Create a sample Story. 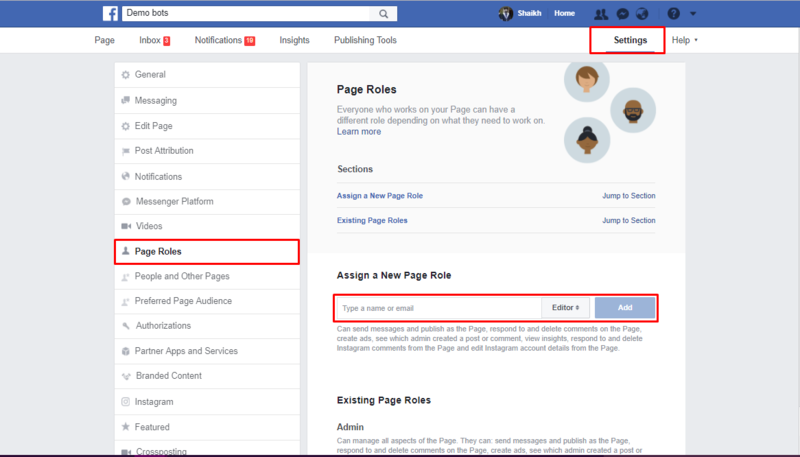 Now go back to Facebook details popup and select you Facebook page. Insert the Commands and Automated Reply of which you have created story in Botsify now, and click on “Save” button. If you have successfully done all the things your “Submit for Review” button would be enabled, after submitting your Bot would be able to answer every messages that you will receive on your Facebook page.